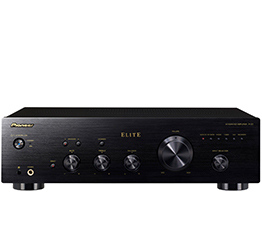 If pure music is important to you, the Pioneer Elite A-20 Integrated Amplifier lets you build a serious two-channel system with money left over for speakers worthy of our impressive new integrated amplifier—and your discerning ear. 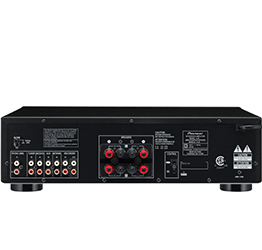 Audiophiles know there’s nothing better than a dedicated stereo system that presents pin-point imaging, an incredible soundstage and infinite sonic detail. With 50 watts-per-channel, the Elite A-20 packs the punch to effortlessly drive revealing, lower-efficiency speakers that will fill your listening room with distortion free sound. One look at the motorized, precision volume control tells you that the Elite A-20 has a build quality you’d expect to see on far more expensive components. The heavy, aluminum front panel and clean industrial design make this one impressive piece of gear. Inside, premium parts like an EL transformer and heavy-duty heat sinks tell you the Pioneer engineers really over-delivered.